Oops, I missed out yesterday. I was too bogged down. In my WIP, that is; the bogs of Scotland are all but forgotten. Three lovely days in Amsterdam. On the first, we visit an art exhibition: From Matisse to Malevich, the Royal Palace and the Historical Museum. All are very interesting, especially the historical museum. 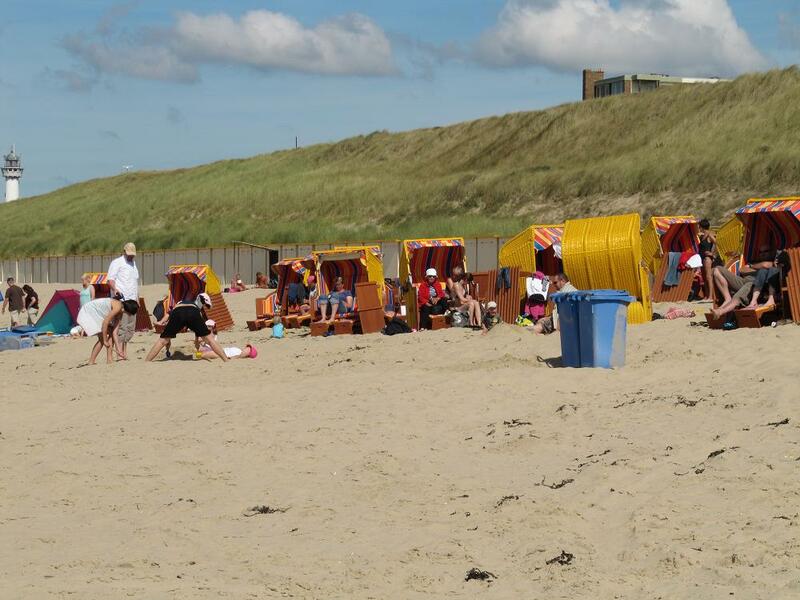 On the second day, we walk 16 km from Castricum to Egmond-on-See. The terrain is flat. Flat! So different from Scotland. On the way, we see a group of children on bikes. “Probably a school trip,” my brother says. “What happens if a child doesn’t know how to ride a bike?” I ask. “All Dutch children know how to ride a bike,” he says. The walk ends at a beach. I’m interested in the seat cabins people have brought with them. On the third day, we hire a bike and go for a 35-km ride through the Amsterdam Bos to Waver and along the river Amstel back to Amsterdam. It’s fun and I’m proud of myself – I haven’t ridden a bike for a long time. But, when in Rome…. I hop on another plane back to the familiar south of England. Cheap flights are good, although I don’t enjoy standing for over half an hour to wait for the plane to arrive and unload its passengers, especially as my legs are aching from all that exercise.